My name is Michelle and I am a longtime quilter. For just over 15 years I operated a quilt shop which was a lot of fun. I learned a lot about quilting and made a lot of quilts too! During the last year of having the shop, I acquired a longarm sewing machine to use in a rental program for customers to quilt their own projects. I myself totally fell in love with longarm quilting! 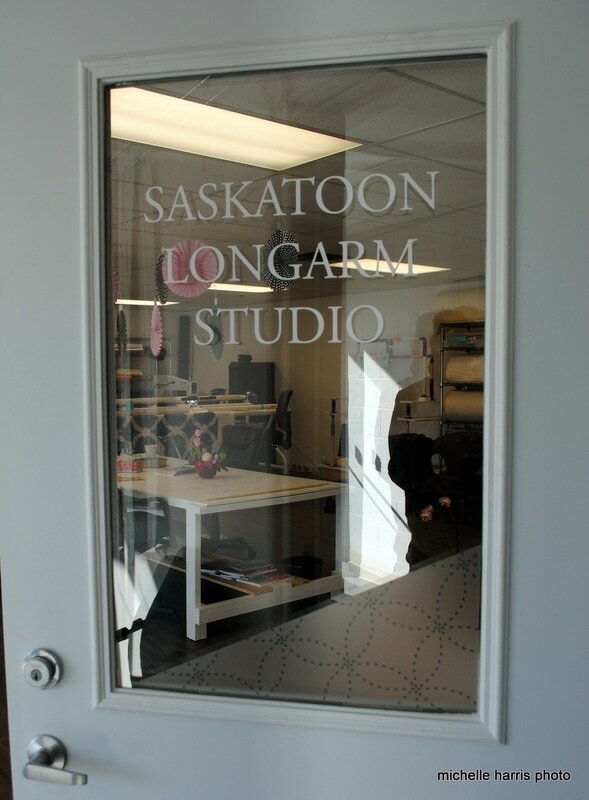 When I sold the shop to its new owner, Patti, I held on to the longarm rental service and now it has it's own home-- the Saskatoon Longarm Studio. These are the three main services we offer! First, you need to take the three hour certification class and then you can rent one of the machines on an hourly basis. We have two APQS Lucey machines available to rent for $30.00 per hour with a minimum 2-1/2 hour rental time. If you are short on time, or just enjoy making quilt tops, we can add the quilting to turn your project into a quilt. There are all sorts of options for you to choose from, including edge to edge pattern or custom designs. Prices for edge to edge designs range from 1.75 cents per square inch to 2-1/2 cents per square inch, depending on the complexity of the design. If you are far away, you can mail it to us and we can decide on a quilting plan via email and photos. if you would just like an instant quilt to gift or to add to your home, we have a wide variety of sizes and styles to choose from. All are made by me, Michelle, from high quality materials.